Good news for fans of the delightful co-op title Trine! In an interview with Frozenbyte's CEO, Lauri Hyvärinen, Patrick Klepek of G4.com asked the question that's certainly been on our minds since we got our hands on this game: "Will there be more?" His response? There will be certainly more Trine, but in what form, platforms and such, that still remains a small secret of ours. There you have it. 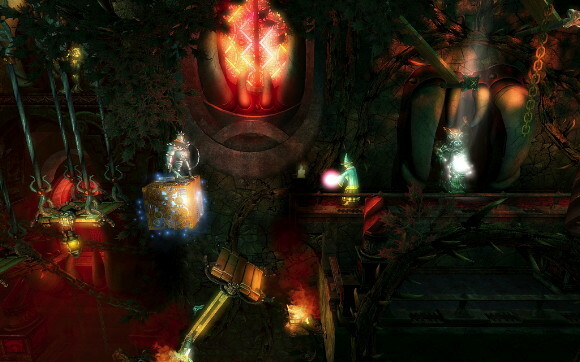 More Trine means more co-op, and that's a good thing. Of course, we hope that the sequel won't be plagued with the same woes that have gone down with the first title's release across multiple platforms. Patrick and Lauri go on in the interview to discuss what influenced the game, the selection of the three characters, and even the challenges of doing co-op on PC. A very good interview that's worth a full read. Beautiful Chaos - Frozenbyte Calls Trine Project "A Big Mess"
Page created in 0.2790 seconds.